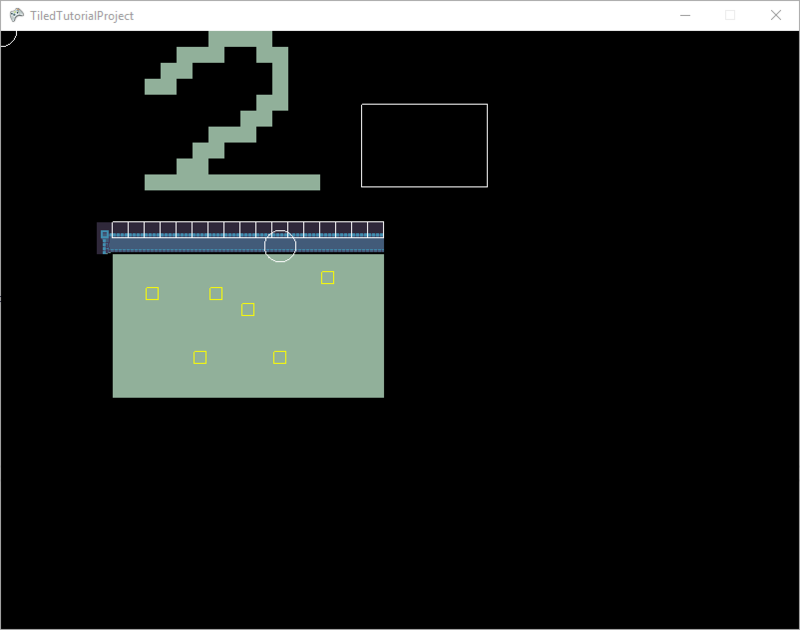 The first four types (geometric shapes) are added to the LayeredTileMap.ShapeCollections list when loaded. These can be accessed and used at run time for custom collision, such as the creation of triggers. 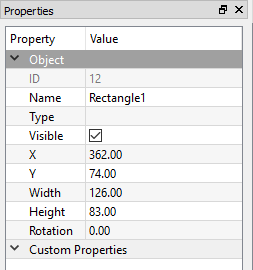 The previous tutorial discussed the Collisions object (a list of TileShapeCollections) which are automatically created and populated when adding shapes to tiles. Usually shapes on tiles are used for environment collision (walls or platforms) or collisions tied specifically to tiles (such as lava tiles dealing damage). 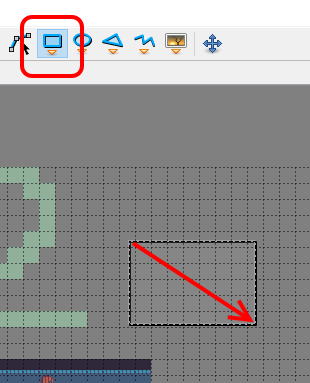 Free-floating shapes can be used to create collidable objects or areas which are not tied directly to tiles, such as large triggers for events. For example a large trigger may be used to initiate a cinematic sequence playing when a player enters a room. Since these large, free-floating shapes are not bound to tiles, they are not added to the list of TileShapeCollections, but instead are added to ShapeCollections. Enter the name “Rectangle1” for the new rectangle. This is needed to find the shape at run time. As always, don’t forget to save your changes in Tiled. Each object layer with one or more shape is loaded as a ShapeCollection at runtime. This tutorial covers the basics of working with a ShapeCollection, but more information can be found on the ShapeCollection page.